I am buying photobooth machine and I really like your software but I was wondering if it supports Facebook, email & Instagram . Also, I'm looking for cash accepting machine that would support Nepali currency so that my customers could pay easily before taking pictures.does your app support this Function too? Sparkbooth supports Facebook and email. Buffer.com, and then Buffer will post to your Instagram account. 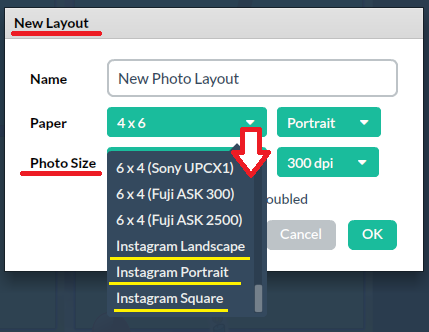 photo layout in the layout editor. Also does buffer for Instagram comes with the package?